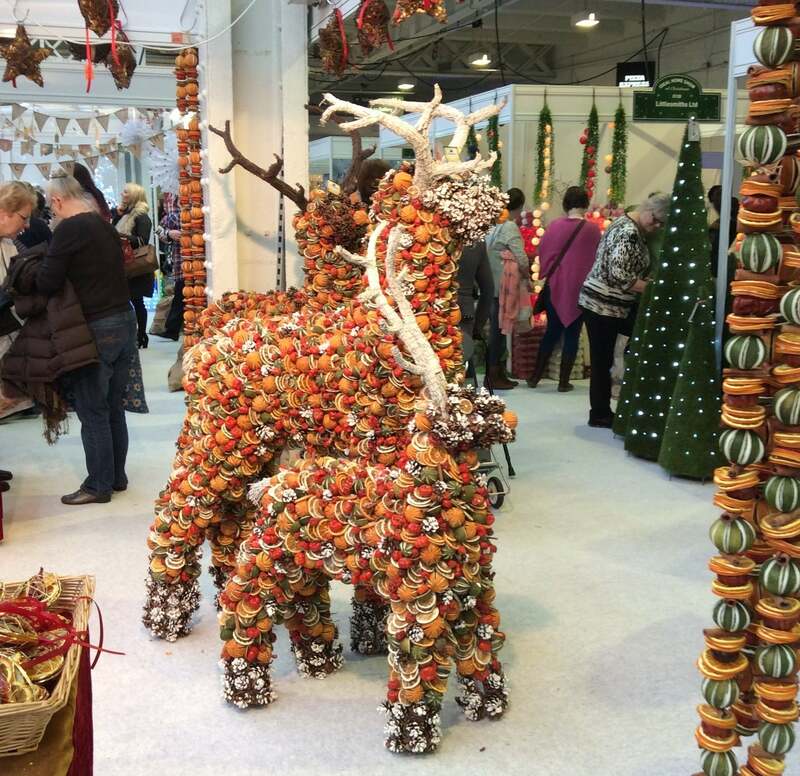 We've reviewed the best buys and most exciting products from this year's Ideal Home Show at Christmas. Read on to ensure you're home purchases are on trend this festive season and find great products at show prices! 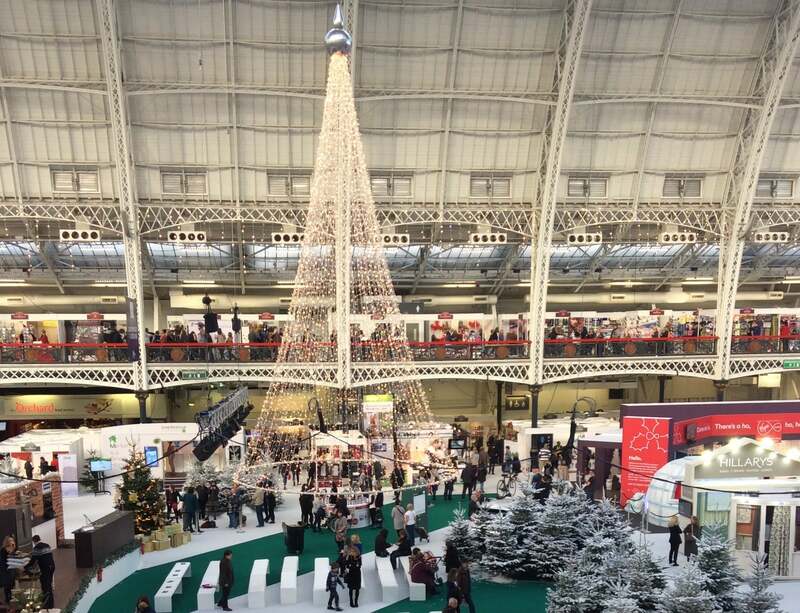 London’s Olympia was transformed into a winter wonderland for this year’s Ideal Home Show at Christmas. We were we greeted by a flurry of snow and cheerful doormen and had the pleasure of being entertained throughout the day by performers on the bandstand – singing swing versions of Christmas song classics. The stalls themselves were jammed-pack with great products and decorations for your home. There were gorgeous vintage-style festive decorations from Sass and Belle and Ginger Ray, as well as innovative furniture designs from Pallet Furniture UK and industrial upcycling from J.A.M.S Ironwork. The real stars of the show however, were the tech designers. To create a product that not only works incredibly well within 21st century life (i.e. partnering up with your smart phone), but one that also looks sleek and beautiful is always going to come out on top. We immediately fell in love with fonesalesman‘s beautiful wireless phone chargers. The bamboo WoodPucks and on-the-go QiStone+ are both great-looking products that are perfect for modern living. The FurniQi side table also caught our eye – imagine no more tangled wires next to your bed or forgetting to plug in your phone, but simply placing it on the table to charge! The only catch is that it isn’t immediately compatible with iPhones*. However, fonesalesman have solved this problem by offering an attachable iQi mobile tab, enabling it to work with the other products. *Available for iPhone 6, 6S, 6 Plus, 6S Plus, 5, 5C, 5S & iPod Touch 5. 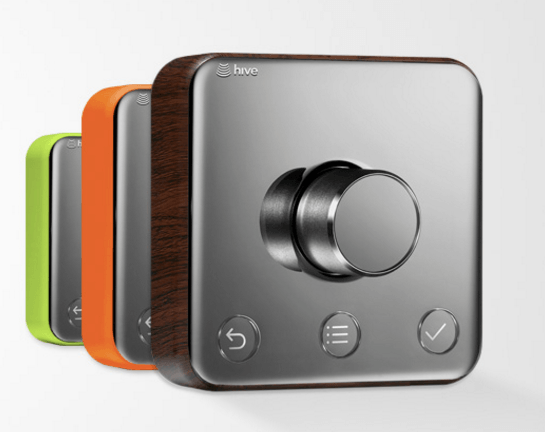 You may have already heard of Hive and their amazing thermostats and app. This really is taking heating control to the next level. 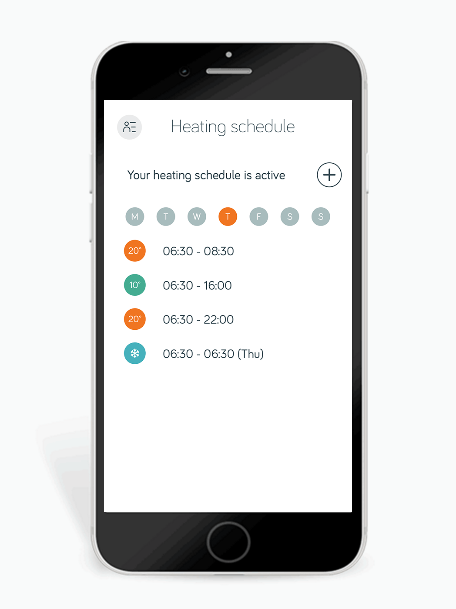 The gorgeous app that accompanies the thermostat allows you to schedule the temperature of your heating throughout the day and also schedule it for each week. This, of course, helps you become more energy efficient, as you’ll only heat your home when you need to – and can turn your heating off when you’re away. Hive claim you could save up to £150 a year so it’s healthy for your pocket too! It’s child-proof, so the kids won’t be able to mess around with it, and it also uses Geolocation, so knows when you’re leaving or returning home. Aside from all the tech, it’s a great-looking design and now customisable with their range of colourful frames (in partnership with Dulux). 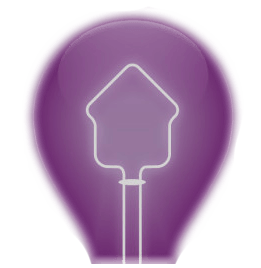 Hive are also in the process of developing new additions to their range to allow you to control lighting, plugs and window and door sensors from the app, so watch this space! Yes, we know. Floor-cleaning robots! The iRobot floorcare range is revolutionary. It comes from the people who invented the Genghis robot, to explore other planets, and the PackBot robots, which are often deployed in war zones to defuse bombs and lead rescue missions. Now, iRobot have created robots that live a bit closer to home. Very close, in fact – they’re your own personal cleaners. There are three robots in the floorcare range – the iRobot Scooba Floor Scrubbing Robot, the iRobot Braava Floor Mopping Robot and the original iRobot Roomba Vacuum Cleaning Robot. These products can also partner with an app on your phone to schedule what time the robots should be active and when they should return to their little charging hubs. Venturing away from the tech and into the design section of the show, we came across Charlotte Froud‘s beautiful roomset. 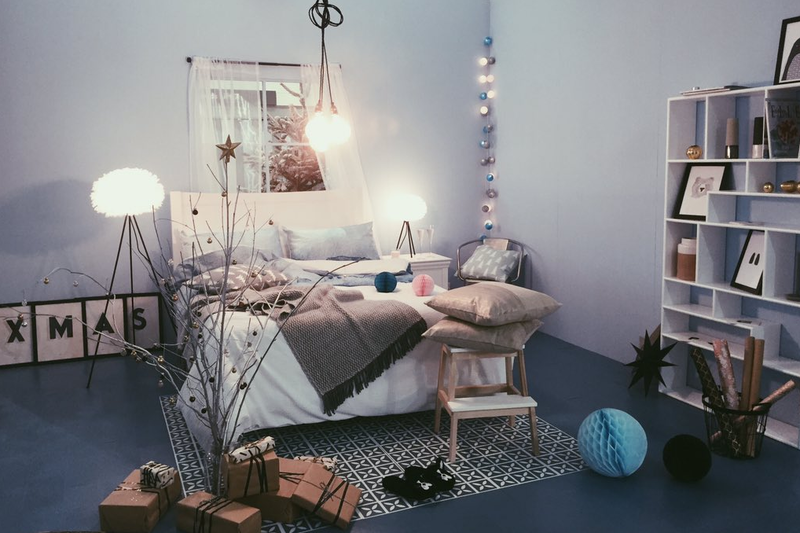 We loved the simple, understated decorations, the calm baby-blue walls and gorgeous antique light bulbs. The room showcases the best of both worlds – by combining statement vintage pieces with minimal, modern furnishings you can create a stylish room that still has a cosy feel to it. Contributors included Lightbulbs Direct, Fired Earth, Graham & Green, Harvey Maria and Paperchase. There were too many beautiful baubles and festive fairy lights to count! 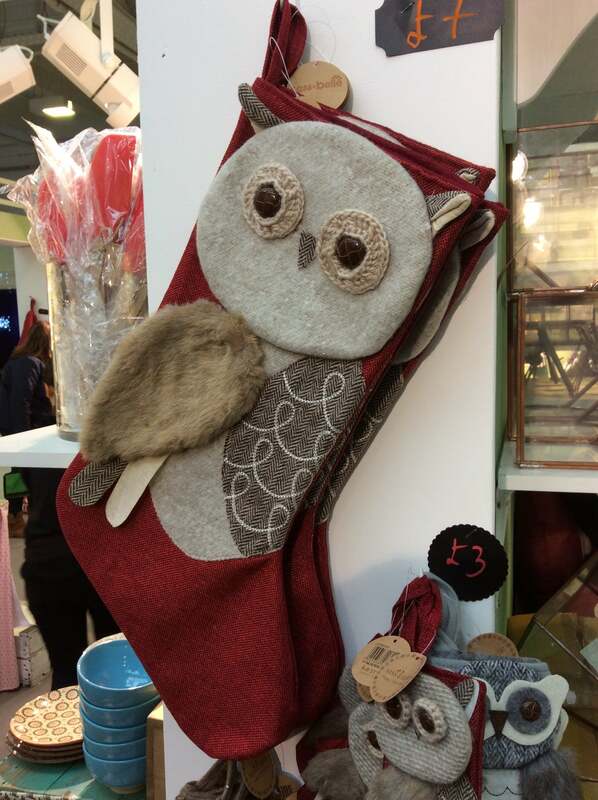 We loved the Sass and Belle Owl Stockings – perfect for getting ready for Father Christmas on Christmas eve! As we wandered around the show, we were suddenly hit with the absolutely gorgeous smells drifting from the Jourmapourri stall. The products and decorations looked spectacular and the scents were amazing. One of their lovely wreaths could fill your home with the fragrance of Christmas and there’s an option to buy them ready-made or to create your own. Check out their amazing reindeer family too! If you’ve missed out on the show, don’t worry – you can buy all the wonderful products online!